There's nothing better than a casual look that still oozes sophistication and ease. 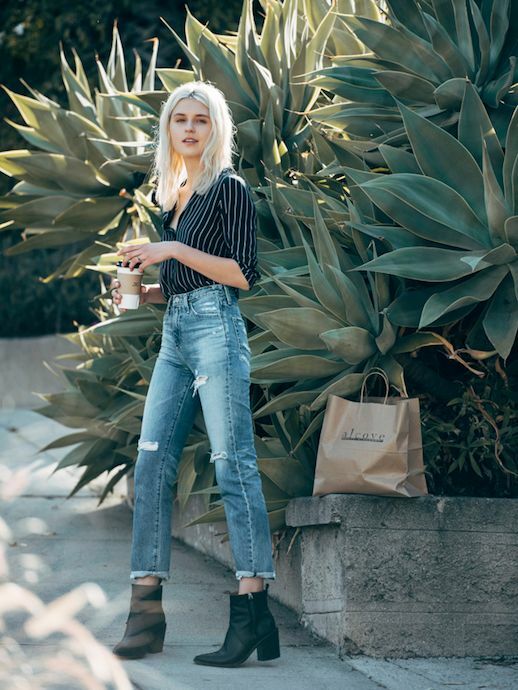 Fashion blogger and platinum babe Rima Vaidila achieves the highest level of casual-chic in subtly distressed high-waisted denim, a pinstripe button up shirt and black booties. 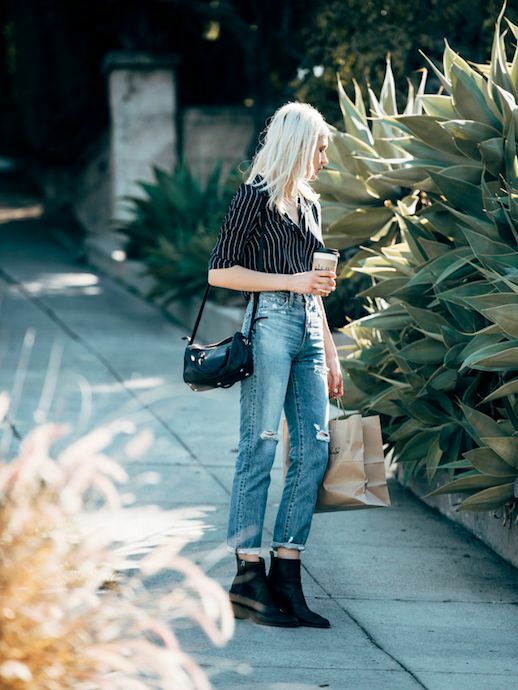 For on the go, grab a coffee and a small crossbody bag to toss over your shoulder.